We suspected it might be the case after Jurgen Klopp told reporters that Marko Grujic was in hospital after last night’s friendly loss against Chelsea, but it’s now been confirmed – the player will miss our next International Champions Cup match against AC Milan on Saturday. 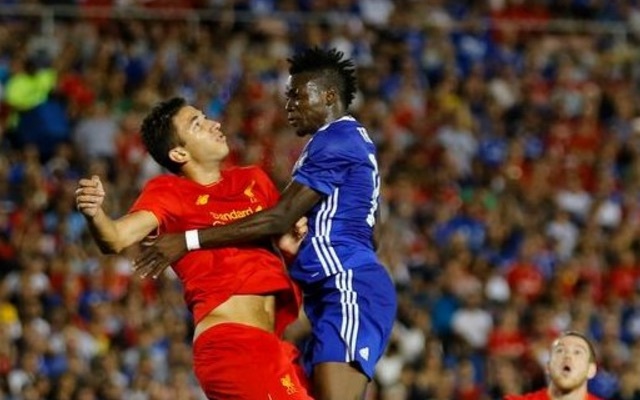 The young Serbian clashed heads with Chelsea’s Bertrand Traore just before half-time, and was rushed to Huntingdon Memorial Hospital in Pasadena during the break. According to the Echo, he received the all-clear after a CT scan, but is now being kept under close supervision by our medical team. He will reportedly return to our Palo Alto training camp along with the rest of the squad, but will not be allowed to play against the Italians at the weekend. At this stage, it’s too early to say when the 20-year-old will be able to play again.